So what do you get the kid who has everything, for Christmas.... Bedbugs!!! This adorable little critter is a GIANTmicrobe. 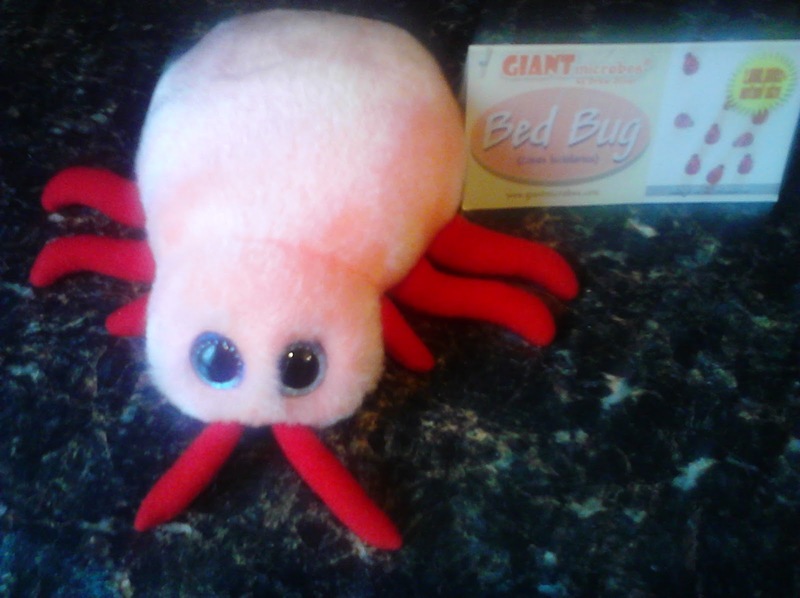 GIANTmicrobes are fun little stuffed toys representing all kinds of yucky things from Staph to Anthrax, Housefly, Germs and yes, even Bedbugs. These toys actually make learning fun. Each one comes with a tag that gives a complete description of what it is and what it does and a fun fact. With "fun" choices like MRSA, Black Death, Food Poisoning, Chicken Pox, Diarrhea, Athlete's Foot, Bad Breath, Chlamydia and HIV and tons more (over 100 total), there's bound to be a GIANTmicrobe for everyone on your list. Science geeks and teachers alike will love these furry little critters. They also make a great gag gift... "Here Honey, I got you a cute little Flesh Eating Bacteria today" or "Hey Honey, look what came in the mail today, Anthrax!".... EPIC!!! GIANTmicrobes also make great stocking stuffers. Imagine the joy on your child's face, on Christmas morning, when they awaken to find E. Coli, Hepatitis and Swine Flu in their stocking.